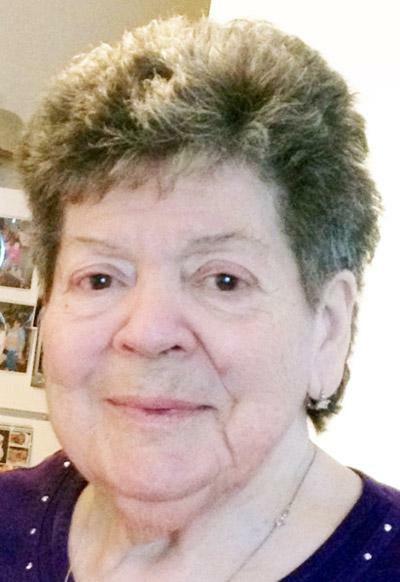 Catherine Cecelia MacKenzie, 79, formerly of St. Andrews, Antigonish County, passed away peacefully Saturday, April 4, 2015, at Melville Gardens Nursing Home, Halifax. Born in Glace Bay, she was the daughter of the late Edward and Florence (Harvey) Turnbull. Mom was a kind, thoughtful, loving person who would do anything to help others. She loved to laugh, attend dances, play cards, and spend time with her family and friends. Time with her grandchildren and great grandchildren was truly special to her. She is survived by daughters, Carole (George) McNeill, Halifax , Francine (Tim) Lalonde, Greenwood, Tammy (Sandy) Cameron, Calgary, Josephine 'Gigi', Toronto; sons, Michel (Barb) Daviau, Antigonish, Jerry (June) Daviau, Antigonish, Glenn (Margaret) Daviau, Halifax, Francis Daviau, Alberta; special daughter-in-law, Marlene Turnbull; 16 grandchildren and four great-grandchildren. She is also survived by sisters, Florence, Mabel, Agnes, Dorothy, Mary, and Carol; brother Connie and numerous nieces and nephews. Catherine was predeceased by son John Turnbull and grandson Jesse Daviau, sisters, Annie and Loretta, brothers, John, Francis, Gerald, Edward, and Patty as well as two brothers in infancy Fabian and Harvey. Respecting Catherine’s wishes, there will be no visitation. Funeral Mass will be held Friday at 11 a.m. in St Andrew's Church, St. Andrews, with Rev. Charles Cameron presiding. Funeral arrangements are under the direction of the C.L. Curry Funeral Home, Antigonish.